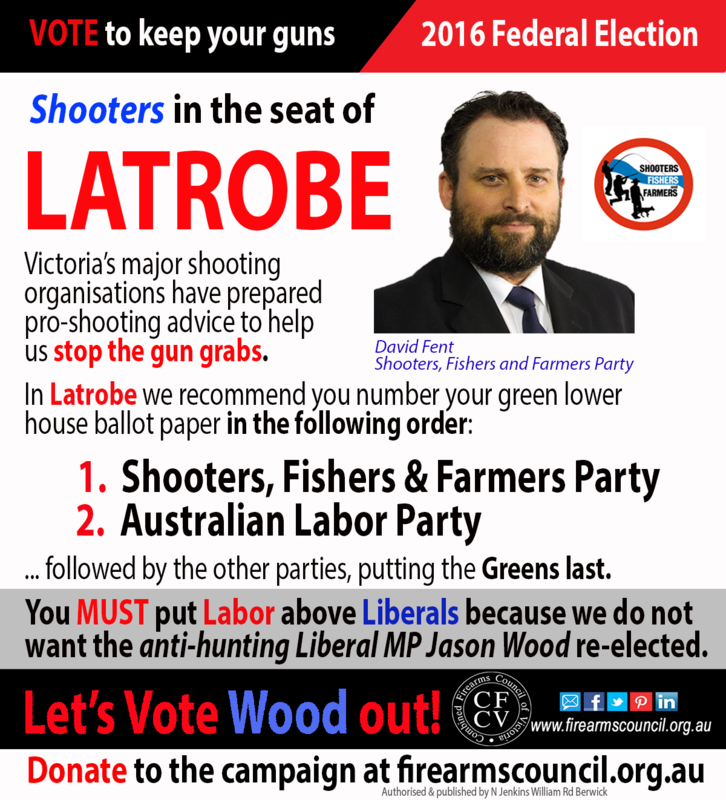 Are you and your mates deer hunters from the outer eastern Melbourne seat of Latrobe? 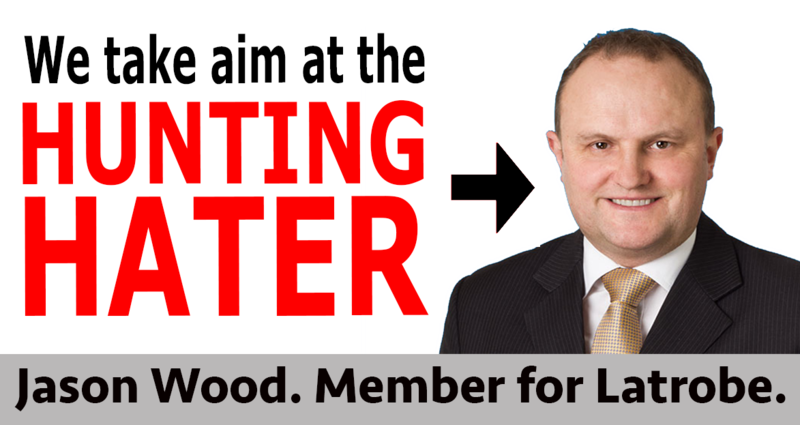 If so, then you’re about to find out why a vote for Liberal MP Jason Wood will be a vote to end your sport. Jason Wood is not a friend of the shooting sports and needs to be removed. Jason has a long track record of opposing legitimate firearms ownership and hunting. Last year, he joined others in condemning cricketing legend Glenn McGrath for going on a trophy hunt trip. Now he’s giving his preference to parties like the Animal Justice Party who also want to ban hunting. In fact he hates what you do so much, his How-To-Vote card puts the Greens ahead of our close friends, the Shooters, Fishers and Farmers Party. He could do far more damage to us than John Howard! In the seat of Latrobe, vote for the Shooters, Fishers and Farmer’s Party then make sure you put Labor ahead of Liberal (with the Greens last). Click here for our How-To-Vote card for Latrobe. Make sure you mates who live in Latrobe know this as well. Share this with them now. In fact tell them if they vote Liberal in Latrobe, then they might as well type in “where to surrender my firearms” on Google because the effect will be the same. Another grub that needs his arse handed to him on a plate. Here’s hoping.